The Right Honourable Justin Trudeau, P.C., M.P. World Press Freedom Day takes place every year on May 3rd. It is a great moment to take stock of press freedom around the world, including in Canada. This year is particularly important as it marks the 25th edition of World Press Freedom Day, which was proclaimed by the United Nations General Assembly in 1993. Therefore, we take this opportunity to bring to your attention the disappointing state of press freedom in Canada. The International Federation of Journalists (IFJ) and our Canadian partners: the Fédération nationale des communications – CSN (FNC-CSN), Unifor, and CWA Canada – The Media Union, in collaboration with the Fédération professionnelle des journalistes du Québec (FPJQ), believe that your government could do so much more to support and empower press freedom. Unlike your predecessor, Mr. Harper, you presented yourself as a strong advocate for journalism and government transparency. Unfortunately, the reality on the ground is quite different. Despite your coming to power almost three years ago, the climate in which press freedom is exercised remains difficult for journalists. Canadian journalists work in an alarmingly hostile environment, facing arrests, abusive police surveillance, attacks on their credibility and source hunting, as well as many hurdles in accessing information. What’s more, a major economic crisis is affecting the information industry in general, and print media in particular. Canada has long been considered one of the world’s leading defenders of press freedom. We are therefore particularly concerned about the deteriorating conditions essential to a free press. As Prime Minister and guardian of the country’s democratic institutions and values, it is your duty to take any and all necessary measures to ensure that Canada regains its position as a leading country in press freedom. From an economic crisis of information to a crisis of democracy? 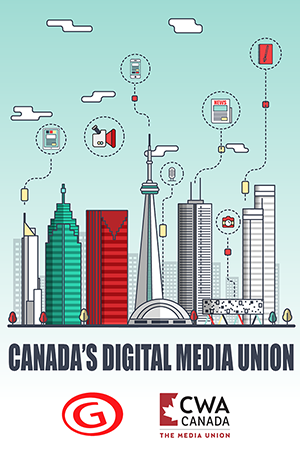 The major economic crisis experienced by the Canadian media industry as a whole further jeopardizes press freedom and the public’s right to information. In Quebec alone, nearly 50 per cent of print media jobs were lost. Regrettably, at the time of writing, we were saddened to learn that another Ottawa-area weekly, La Gatineau, had to close down its operations for lack of sufficient funding. This long list of job losses and closures undermines the media’s ability to continue to monitor public and private authorities, and therefore undermines the public’s ability to make informed collective decisions. The loss in earnings of media companies largely explains this terrible situation. Funded mostly by advertising sales, the media is struggling to compete with Web giants whose advertising revenues exploded by 358 per cent between 2007 and 2017. Over the same period, newspapers suffered a 45-per-cent decrease, while television suffered a 10-per-cent decrease between 2011 and 2016. What is your government doing? Confronted with the worst crisis in modern press history, the Canadian government settled for financial support amounting to a mere $3.62/inhabitant/year, while several European countries intervened forcefully to support printed press freedom. May we remind you that countries like Finland grant $92/inhabitant/year and France nearly $30/inhabitant/year. Your government can and must do more. 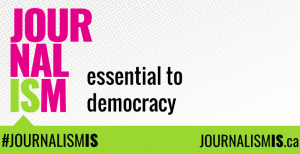 Significant press support is essential to ensure media viability and democratic pluralism. The government’s financial commitment thus promotes pluralism of information and public access to it. We regret that your government has chosen to indulge Web multinationals. By allowing a convenient tax system and refusing to apply current taxes, Canada is depriving itself of substantial amounts, especially given the exorbitant profits made by these large companies – profits that should benefit content creators, including news media. Revenues escaping Canadian taxation could be used to effectively and proactively support culture and media. Moreover, the reproduction of journalistic content on these platforms without author permission or payment of any remuneration consists in blatant copyright infringement. Finally, we would be remiss if we failed to mention the Journalistic Sources Protection Act. Although its application and interpretation remain worrisome, the new legislative framework allows journalists to exercise their press freedom in a healthier climate. We urge you to make every effort to ensure the anonymity of journalistic sources in all circumstances. Mr. Trudeau, we firmly believe that in order to maintain your image as a defender of press freedom and to preserve the great democratic values to which Canadians are committed, it is your duty to intervene. We remain confident that your government will make the right choices.